Emirates is firing up its ovens for Thanksgiving celebrations onboard and on the ground. The airline will offer customers special holiday menus across all classes on flights between Dubai and the US and in the respective airport lounges. The Thanksgiving menu will be available to customers from November 22 to 25. First and Business Class passengers can choose from appetisers including a smoked duck salad, served with poached fig, pickled beetroot, green beans, plum chutney and hazelnuts; a creamy cauliflower soup; a pumpkin soup with toasted pumpkins seeds and chives; or a smoked ocean trout with crème fraîche, cocktail onions and caper berries. Customers in First and Business Class can enjoy a Thanksgiving Roasted Turkey served with chestnut stuffing, cranberry jus lié, mashed potatoes or pumpkin mash. For dessert, passengers can choose a pumpkin tart with whipped cream, caramel fudge, chocolate quenelle and pistachios. 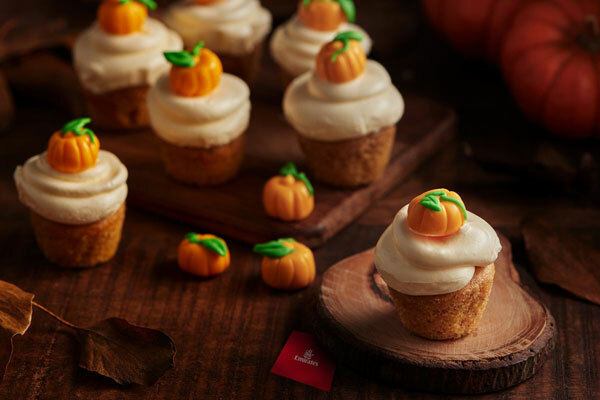 On routes with the Emirates A380 aircraft, customers will also get a taste of Thanksgiving in the iconic onboard lounge with limited edition pumpkin cupcakes. Travellers in Economy Class to the US will also be able to indulge in a tasty, roasted turkey served with cranberry sauce, mashed potatoes and roasted pumpkin in maple syrup prepared by Emirates’ award-winning chefs. Emirates leaves no stone unturned with its wide beverage selection onboard to complement the celebrations. Customers can look forward to some of the finest wines and champagnes served in the skies, to enjoy with their Thanksgiving meals. In addition, Emirates has a refreshed spirits offering across all classes with a range of premium brands. Spirits onboard are served on a complimentary basis across all classes and routes and include a range of whiskeys, cognacs, gins, vodka and flavoured liqueurs amongst others. The spirits offering includes a mix of niche, handcrafted brands as well as popular and well-loved spirits such as Hennessy cognacs, including the exclusive Hennessy Paradis in First Class, which pairs well with Emirates’ pumpkin tart. Thanksgiving celebrations kick off in Emirates’ airport lounges in the US this week. From November 8-22, Emirates lounges in New York (JFK), Boston (BOS), San Francisco (SFO) and Los Angeles (LAX) will serve authentic Thanksgiving meals, from turkey dishes to delicious mini pumpkin pies. Customers travelling out of any of the seven lounges in Dubai on Thanksgiving Day, November 22, will also be treated to the special menu.